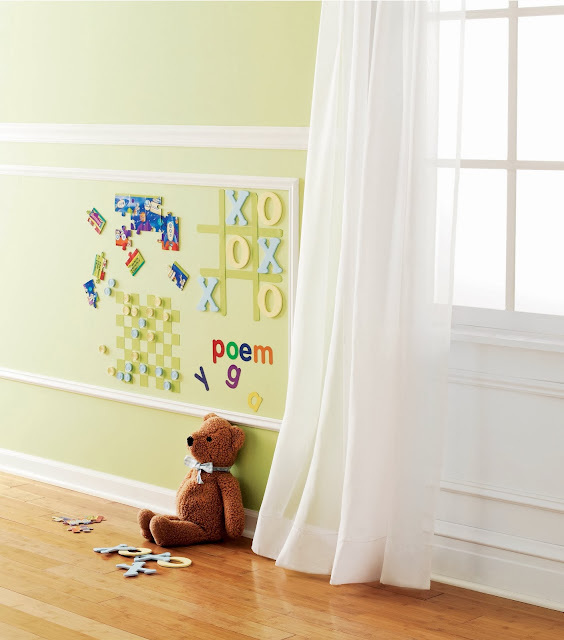 We were born to decorate, so for babies and toddlers the bedroom wall seems like a good place to start. Go with it and give their rooms a coat of paint that will allow them the freedom to be as experimental as they please. To create a whiteboard, just follow the instructions on the cans of Rust-Oleum Dry Erase whiteboard paint. It's really just the same as applying any paint with a roller, you just have to make sure to allow the surface to cure for a few days before kids get creative with markers. 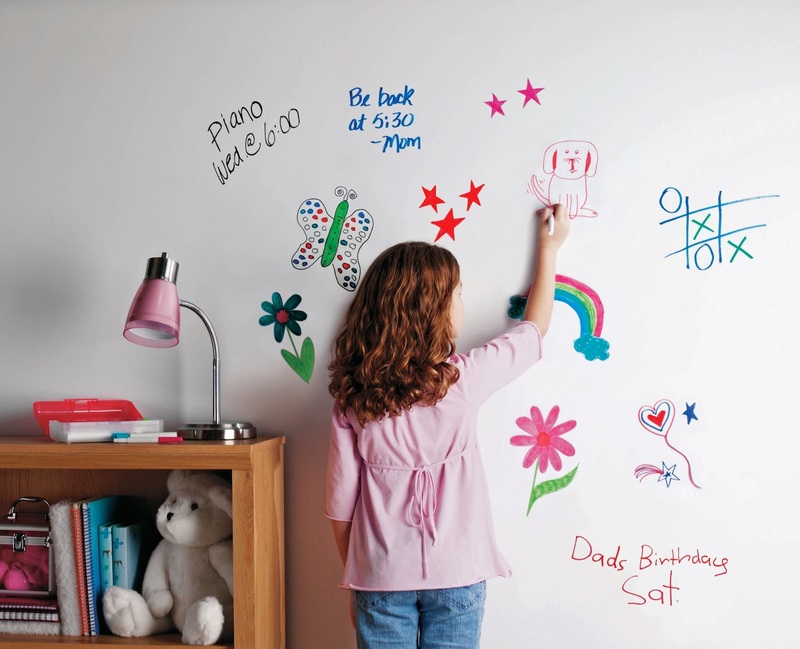 If you use Rust-Oleum Magnetic Primer underneath, you can turn the whiteboard into a magnetic whiteboard, or use it under latex paint in a strip or area of the room that your children can easily access. Find out more through the Rust-Oleum website, or via a paint or hardware store.